Our speakers are for YOU! Samuel T. Gladding, Ph.D., LPC, CCMHC, NCC: counselor, counselor educator, prolific writer, a leader in numerous counseling organizations, and legendary contributor to the counseling field. Samuel T. Gladding is a professor in the Department of Counseling at Wake Forest University. He is a fellow in the American Counseling Association (ACA) and its former president. 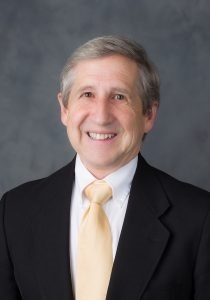 He has also served as president of the American Association of State Counseling Boards, Chi Sigma Iota, and three ACA divisions: the Association for Counselor Education and Supervision (ACES), the Association for Specialists in Group Work (ASGW), and the International Association of Marriage and Family Counselors (IAMFC). He is an ASGW fellow and the former editor of the Journal for Specialists in Group Work. Dr. Gladding has authored numerous books (N=52 with revisions), scholarly articles (N=92), book chapters (N=32), teaching videos (N=17), and poems (N=45). His writings have been translated into half a dozen languages including Korean, Indonesian, Chinese, Polish, and Russian He was a mental health first responder to the 9/11 attack in New York and to the Virginia Tech shootings and has twice been a Fulbright Specialist (Turkey & China). He is the recipient of ACA’s Gilbert and Kathleen Wrenn Award for a Humanitarian and Caring Person, the David K. Brooks, Jr. Distinguished Mentor Award, and the Arthur A. Hitchcock Distinguished Professional Service Award. The Association for Creativity in Counseling (ACC) and ACA have each named awards in his honor. Dr. Gladding received his degrees from Wake Forest (B.A., M.A. Ed. ), Yale (M. A. ), and UNC-Greensboro (Ph.D.). He is a National Certified Counselor (NCC), a Certified Clinical Mental Health Counselor (CCMHC), and a practicing Licensed Professional Counselor (North Carolina). He has taught counseling and worked with counselors and universities in Estonia, Austria, Malaysia, Sweden, Ireland, Germany, South Africa, Australia, Singapore, the Philippines, Mexico, and Canada. Before becoming a counselor educator, he worked fulltime as a clinician in a rural mental health center and was a first lieutenant in the U.S. Army. He is married to Claire Tillson Gladding and the father of three grown children. For fun, Dr. Gladding enjoys playing with his therapy dog, Lexie, as well as traveling, reading humor and biographies, and interacting with friends and family. Brandé Flamez, Ph.D., LPC, NCC: counselor, counselor educator, CEO and Founder of the nonprofit SALT (Serving and Learning Together), and active leader in numerous counseling organizations. Keynote session: "Building Bridges for others Through Advocacy and Leadership"
Dr. Flamez s a licensed professional counselor and clinical professor in the Counseling and Special Populations department at Lamar University. Dr. Flamez is also the CEO and Founder of the nonprofit SALT (Serving and Learning Together) world Inc. which provides donations and volunteer services to developing countries. Her clinical background includes working with children, adolescents, and families in community-based and private counseling settings. In addition, Dr. Flamez helped design an outpatient program for court-referred adolescents. Dr. Flamez is active in the counseling profession. She has served on the American Counseling Association (ACA) Governing Council for the International Association of Marriage and Family Counselors (IAMFC), ACA Finance Committee, ACA Investment Committee, and chaired the ACA Publications Committee. She is also the Past President for the Association for Humanistic Counselors (AHC), Past President for IAMFC, and has co-chaired the Bylaws/Ethics Committee for AHC. Dr. Flamez is on the editorial board for The Family Journal. She has presented numerous times at the national and international level and coauthored several book chapters and articles. Dr. Flamez is the co-author of the assessment textbook Counseling Assessment and Evaluation: Fundamentals of Applied Practice, co-author of the dissertation book A Counselor’s Guide to the Dissertation Process: Where to Start & How to Finish, the co-editor for Diagnosing Children and Adolescents: A Guide for Mental Health Practitioner, (Wiley), Marriage and Family Therapy (Cognella), and the upcoming supervision book Practical Approaches to Clinical Supervision Across Settings. She is the recipient of numerous national awards including the 2017 Dr. Judy Lewis Counselors for Social Justice Award, 2015 Counselor Educator Advocacy Award, 2014 ACA Kitty Cole Human Rights Award, 2012 ACA Gilbert and Kathleen Wrenn Award for a Caring and Humanitarian Person, and the 2012 IAMFC Distinguished Mentor Award. Gerald Pennie, Ph.D., LPC, NCC: counselor, counselor educator, author, and current research agenda focuses on collaboration among counseling specialties, healthy intrapersonal and interpersonal relationships in childhood and adolescence, and goal striving stress among first-generation college students. Keynote session: "Building Bridges from Diapers to Diplomas"
Dr. Gerald Pennie is a Licensed Professional Counselor in the state of Texas and is an Assistant Professor in the Department of Counseling and Psychology at Texas A&M University-Central Texas. Dr. Pennie also serves as the Chief Strategy Officer of Impact Communications LLC. a communications consulting firm that focuses on addressing public speaking anxiety and speech communications training. His clinical background includes working with children, adolescents, adults, and families within the P-12 public school environment and in private counseling settings. Dr. Pennie is active in the counseling profession. 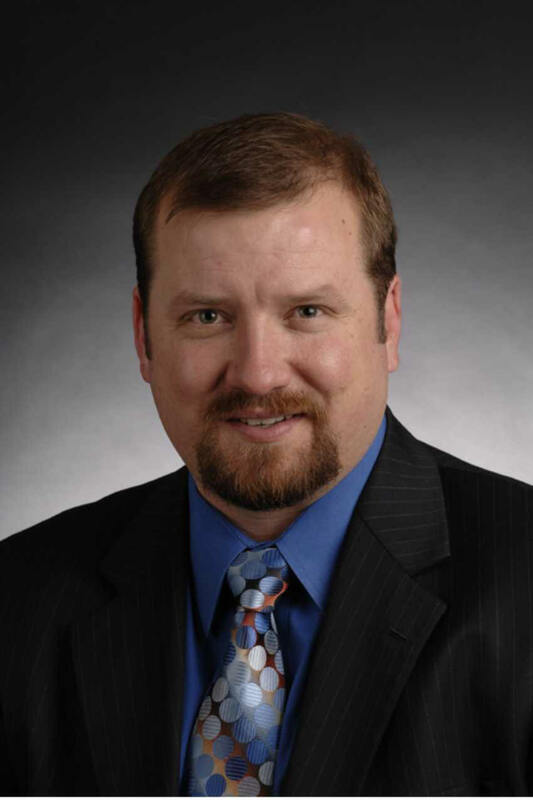 He has served on as a member of the Program Review and Research Committees of the Texas Counseling Association. He is a member of the American Counseling Association (ACA), the American School Counseling Association (ASCA), the Texas Counseling Association (TCA), the Texas School Counseling Association (TSCA), and Texas Association of Humanistic Education and Development (TAHEAD). Dr. Pennie has presented numerous times at conferences at the local, state, and national levels. He has co-authored a book chapter and articles relating to the topics of wellness, adolescent development, and group counseling. Dr. Pennie has had a long history of working with adolescents in the school system. 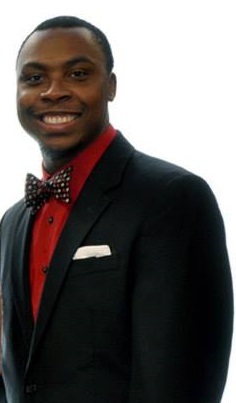 He has served as an Academic Case Manager and Special Education Counselor. Dr. Pennie has worked in a voluntary capacity with several organizations across the state of Texas including Women’s Protective Services of Lubbock, Lubbock Independent School District, and the Roosevelt Independent School District. Dr. Pennie was named Volunteer of the Year for 2012. Dr. Pennie has served on multiple panels relating to multicultural approaches to mental health, diversity, and fostering stronger communities. Dr. Pennie current research agenda focuses on Collaboration among counseling specialties, Healthy intrapersonal and interpersonal relationships in childhood and adolescence, and Goal Striving Stress Among First Generation College Students. Charles Crews, Ph.D.: counselor, counselor educator, clinical director, counselor supervisor, leader. Charles Crews, PhD., is an Associate Professor of Counselor Education & Supervision at Texas Tech University. In his role, he coordinates the school counseling program, and teaches courses mostly via distance utilizing the newest of educational technologies to engage students. Charles is the clinical director of the Lubbock Independent School District Family Counseling Consortium where he supervises the counseling of 25 school counselors who provide family counseling to district students and their families. Charles is also the director for Juvenile Alternative Guidance (JAG) a program assisting juveniles through legal issues and court mediation and dispute management. Charles has served numerous counseling associations in diverse leadership roles. He is taking time out of his service to be a dad to a toddler, and a father to a teenager. They both keep him on his toes emotionally and physically. One area of interest for Dr. Crews is technology. He is an avid computer gamer, but also utilizes the same technologies used to be successful in gaming, to be successful in advising, mentoring, and teaching. His latest project is utilizing video conferencing for group counseling. If Dr. Crews is not professoring or gaming, you can find him outside, fly fishing in northern New Mexico and Southern Colorado.